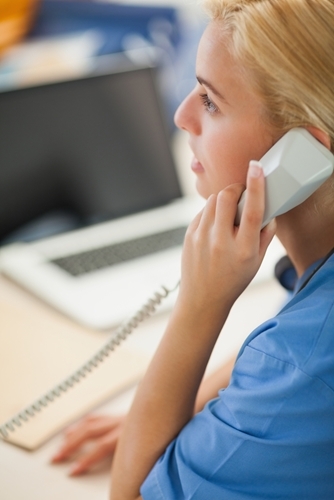 Communication is important in any business setting, but perhaps none more so than health care. When patient safety is at risk, it's imperative for health care providers to ensure users can effectively and efficiently communicate both internally and externally. Call clarity becomes crucial when doctors have to share vital information with their patients over the phone, and often the few seconds saved by contacting a physician via an advanced telecommunications solution could save a life. Voice over IP (VoIP) systems are ideal because of their ability to facilitate advanced communications on the hospital floor. Professionals are constantly on the move and, in many cases, their attention is required immediately. Traditional telecom systems are inefficient, today's mobile applications for Smart Phones and Unified Communications improve the ability for physicians and other staff to communicate on demand. This is accomplished with applications such as SoftPhones, Instant Chat and Voice Mail to Email, among others. A white paper from CDW Health Care recently addressed this issue, and stressed the benefit of streamlining communication and other vital processes inside the medical facility. "VoIP technology enables hospitals to integrate voice, data and video requirements into a single, streamlined, wireless I.T. infrastructure," the paper said. "This supports the movement toward a fully digital healthcare environment where patient records, test results and other key information are instantly accessible throughout the campus or remotely. In addition to improving patient care by enhancing the timeliness and quality of communications, VoIP networks enable videoconferencing, specialist consultations and other collaborative treatment approaches that benefit patients. VoIP also provides a foundation for integrating the latest healthcare I.T. applications, both now and in the future." That's what it comes down to. Ultimately, to bring health care to the level it needs to be to flourish in 2014, organizations have to become more digital and take advantage of innovation in the industry. A VoIP system can do that by facilitating closer connections between doctors, nurses, other employees and patients. Connection efficiency spurs operational efficiency. The more efficient a health care organization, the better level of care it can provide. That's not to say there aren't challenges in this area. Communication is, after all, the sharing of information, which must be carefully managed in the health care space. Working with business phone service providers with health care experience can ensure your system works the way you want without compromising regulatory compliance.